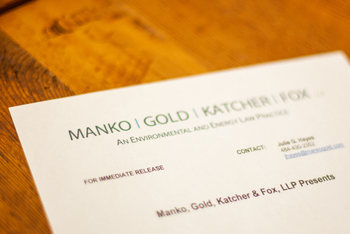 Philadelphia, PA (July 8, 2008) – Manko, Gold, Katcher & Fox, LLP (MGKF), is pleased to announce that Matthew A. Chiachetti, Melina R. Forte, and Brandon M. Tuck have recently joined the firm as summer associates. Chiachetti and Forte attend Villanova University School of Law, and Tuck attends the University of Pennsylvania School of Law. All three summer associates have completed their first year of law school.